Ladies and gentleman, boys and girls it is time to prepare yourself for a full on documentary overload as DOC NYC is all set to start Thursday. Wooo Hooo! Yes one of the best curated (thank you Thom Powers) and largest documentary film festival is about to start up for its eighth year and the world is better for it. I love DOC NYC. It is one of the top festivals I’ve ever run across. It’s a glorious celebration of documentaries from all over the world. It is a stunning collection of the best and most intriguing films and I wouldn’t miss it for the world. Long time readers of Unseen Films will know that I really don’t have much to say about the festival beyond “you must go”. Because the festival is so perfectly programmed that I will happily watch anything they run. This is because the fest was founded by Thom Powers the programmer for the Toronto Film Festival and who has connections to many others. He has a great eye and we who got to DOC NYC are they beneficiaries. Better still everyone in the film business seems to know Powers and they end the best of the best stuff his way, which he then snaps up for DOC NYC. What I love about the fest is everything they run is so spot on that even if you run across the rare film that you don’t like you know why they ran it. The selections are so good that for the last three years we’ve covered almost everything that they have screened. While that is probably not going to happen this year, we are going to make a run at it simply because we want to see all the films. As this posts we’ve been hard at work watching films and preparing coverage for almost two weeks. While we still have a huge number of films to review I’d like to give you a heads up on the films that are the absolute must sees of the festival (so far). All the films (which are in no particular order) I highly recommend you attempt to get tickets for. WHAT HAUNTS US- is a truly haunting film about sexual assault (never mind the present day headlines) that ultimately that finds guilt in an unexpected place. Probably one of 2017's best. SAMANTHA'S AMAZING ACROCATS-- a wonderful small gem of a film about a woman touring the country with her cat circus. Its a story about how we can find happiness if we follow our passions. OH, RICK! Loving and often funny portrait of composer and comedian Rick Crom the long running MC of the Comedy Cellar. AMAZONA is the director attempting to come to terms with her mother and how she left her behind when she was a child. Raising all sorts of questions about parent child relationships as well as others the film is one of the most griping at DOC NYC. STANDING UP one of the best films on stand up comedy that I’ve run a cross. Great subjects are followed by the perfect director to tell their story. A must. A MURDER IN MANSFIELD is the latest from Barbara Kopple and it's tale of a man investigating the death of his mother has potent emotional kick to it. THE BEANING creepier than most horror movies, this short investigating whether the New York Yankees made a dark deal to win many World Series is absolutely chilling. THE TABLES is a great short about the ping pong tables in New City's Bryant Park and the people who play on them. FIX AND RELEASE is a great on so many levels I can't do them justice here. Its a short film about a turtle rescue center and details all the ways they save turtles from harm. DONKEYOTE is an observational film about a man who wants to travel from Spain to America to walk the Trail of Tears. It's a film that transcends fiction or nonfiction to simply be great storytelling. QUEERCORE: HOW TO PUNK A REVOLUTION is very alive film about how a few people convinced the world that a gay punk movement existed and changed the world. A deeply moving film about finding one's place even if you have to create it. And I'm sure we will be discovering even more great films between now and when the festival ends so keep checking back over the next two weeks. 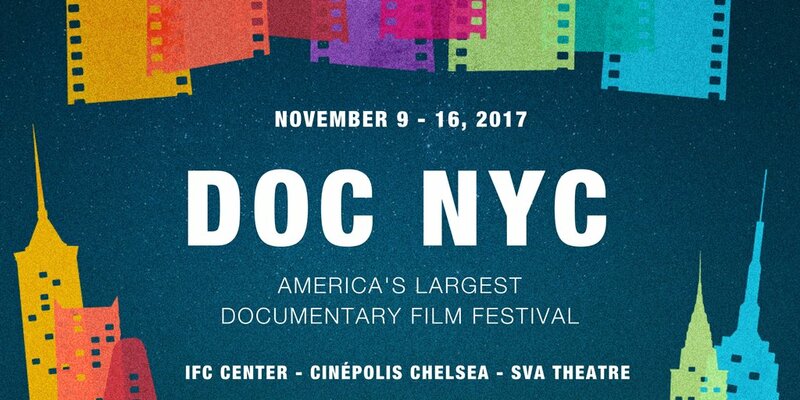 For more details on DOC NYC and tickets go here.